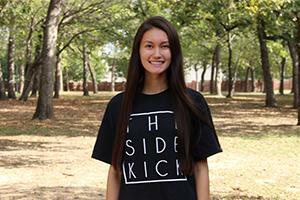 Maggie Theel is 16 years old and she is a junior at Coppell High School. In addition to being a staff writer for The Sidekick, she is a diploma candidate in the International Baccalaureate program and she runs on the track and cross country team. Maggie loves spending time with her friends and family and in her free time she enjoys reading, eating ice cream and watching "Grey's Anatomy" and "Criminal Minds".